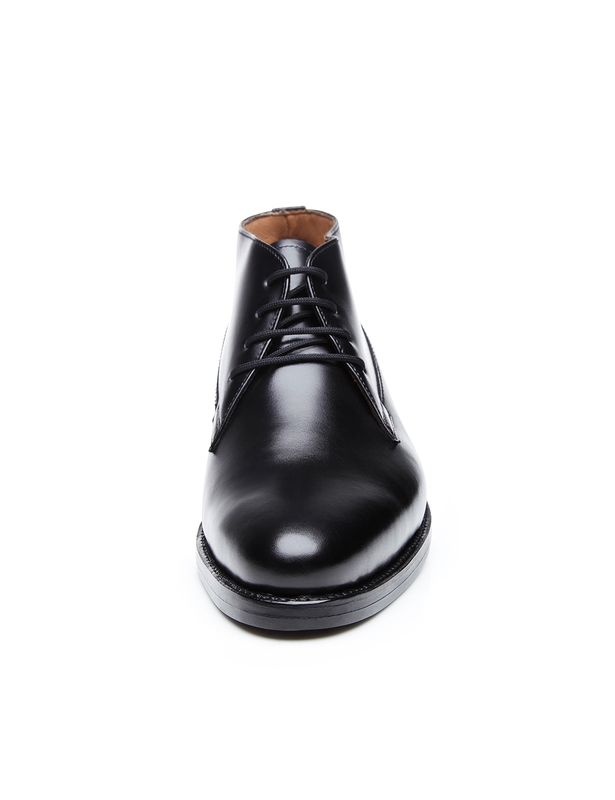 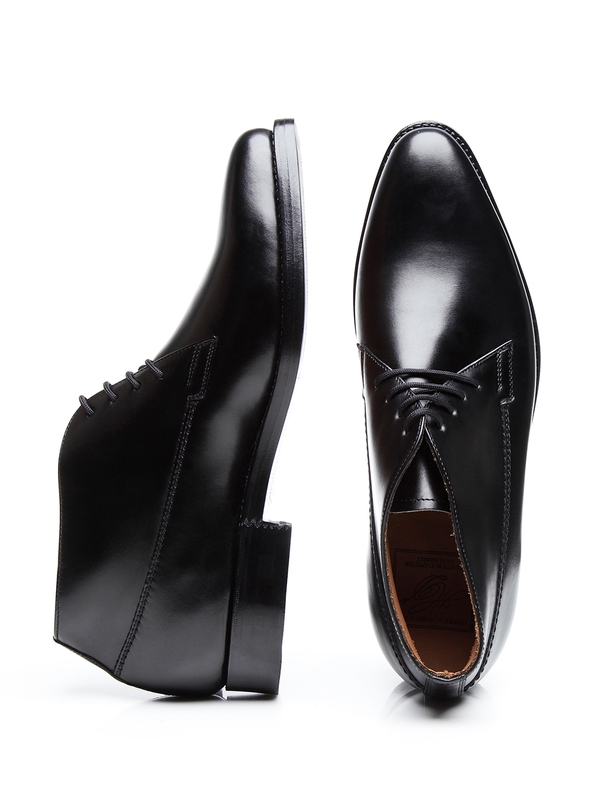 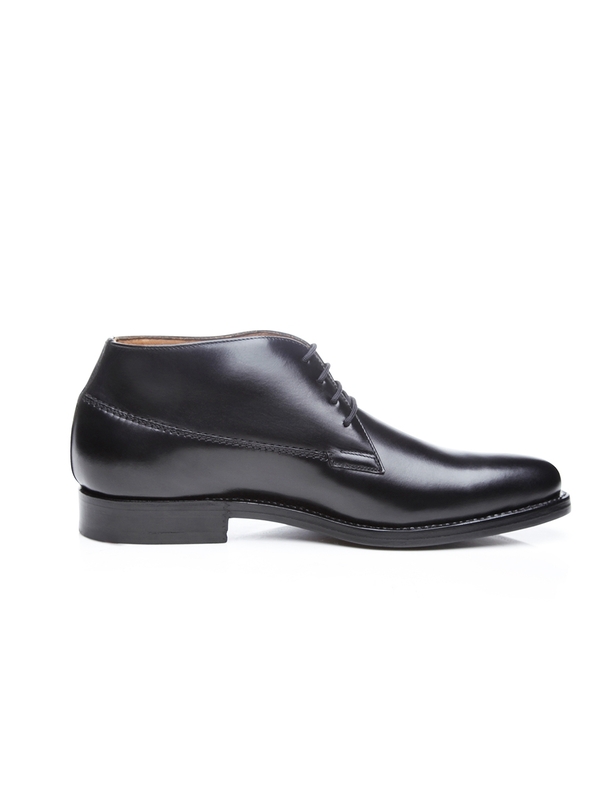 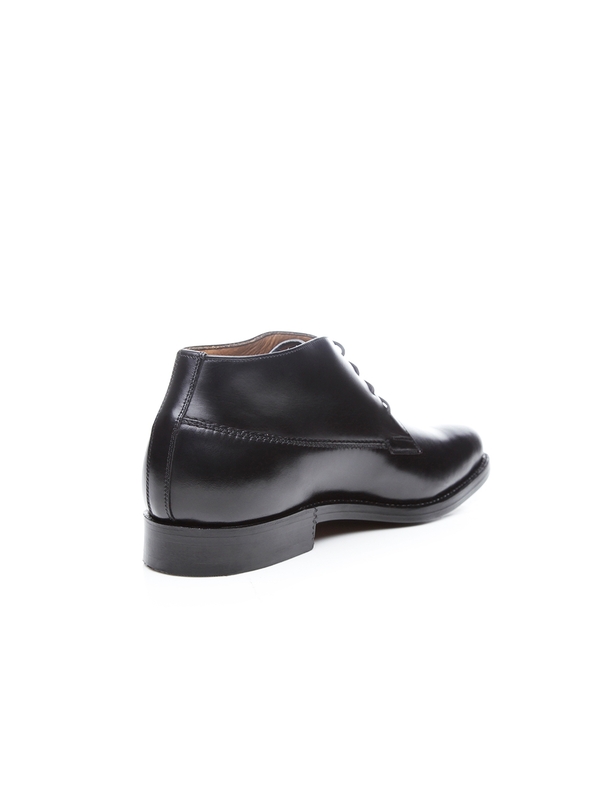 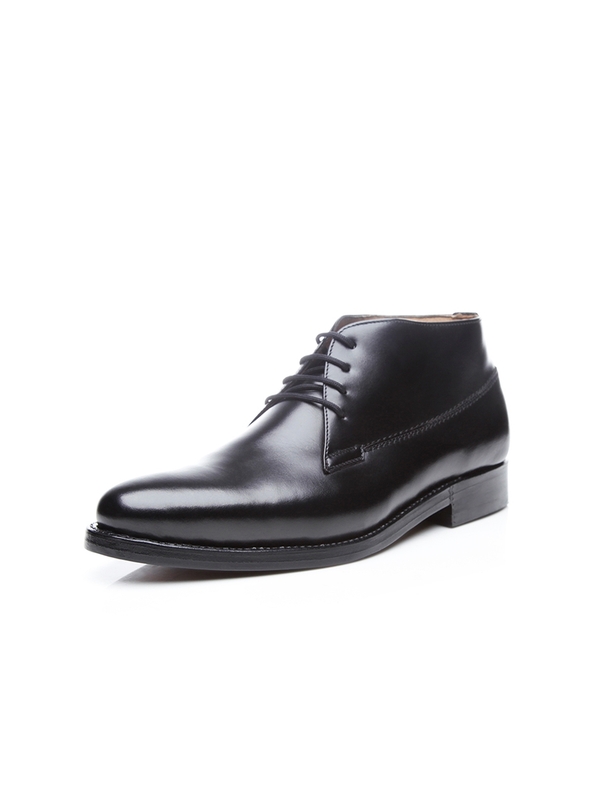 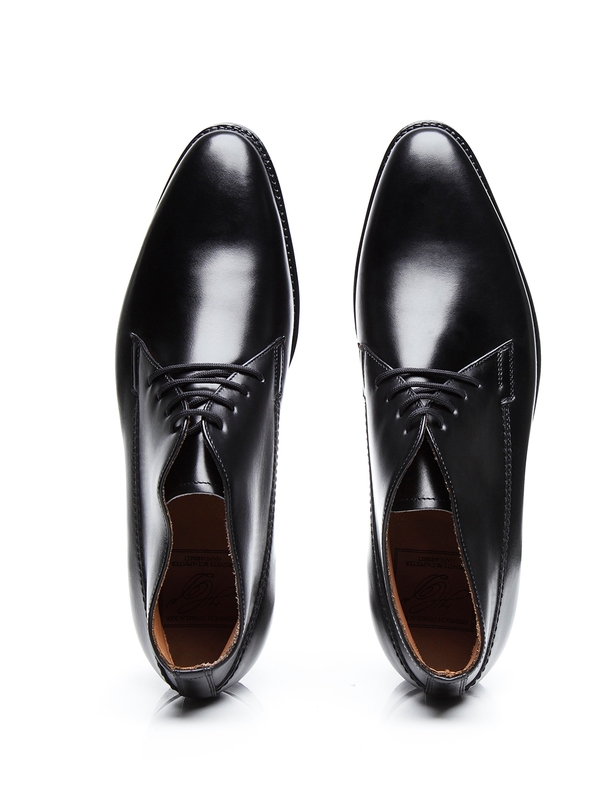 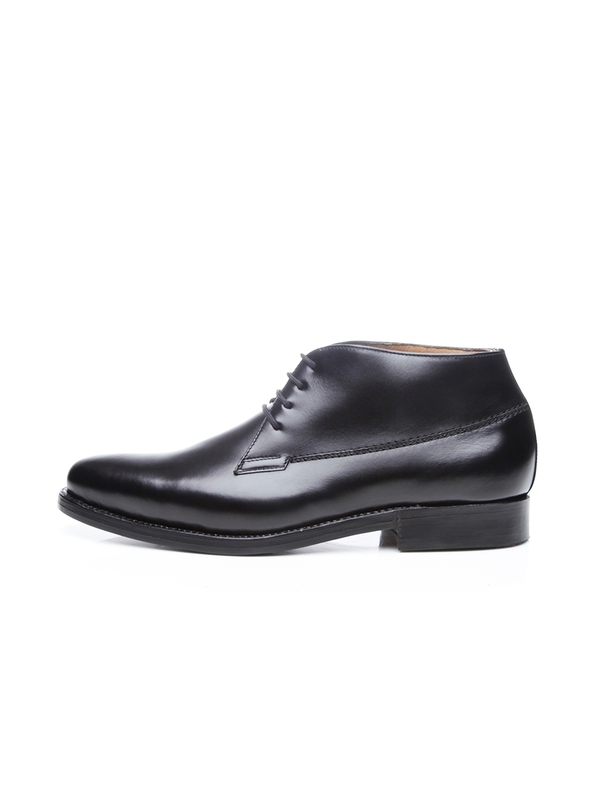 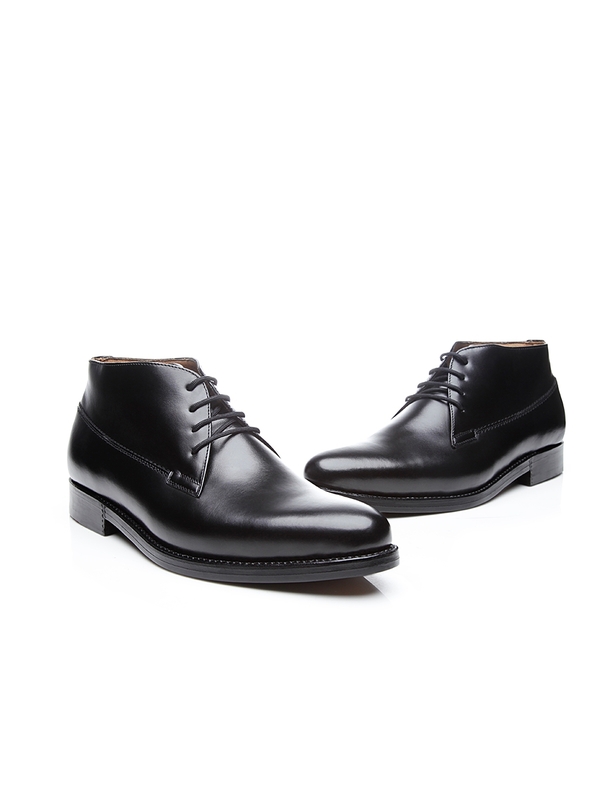 This classic men’s ankle boot in black exudes modern understatement. 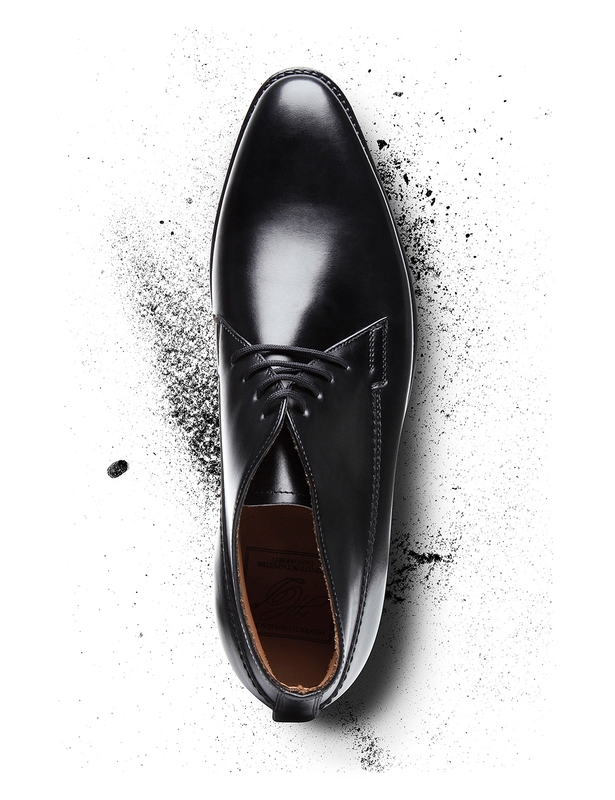 Handcrafted and sewn-welted, this model features an ankle-height shaft made of premium box calf — a gleaming calfskin perfectly suited for making elegant men’s shoes. 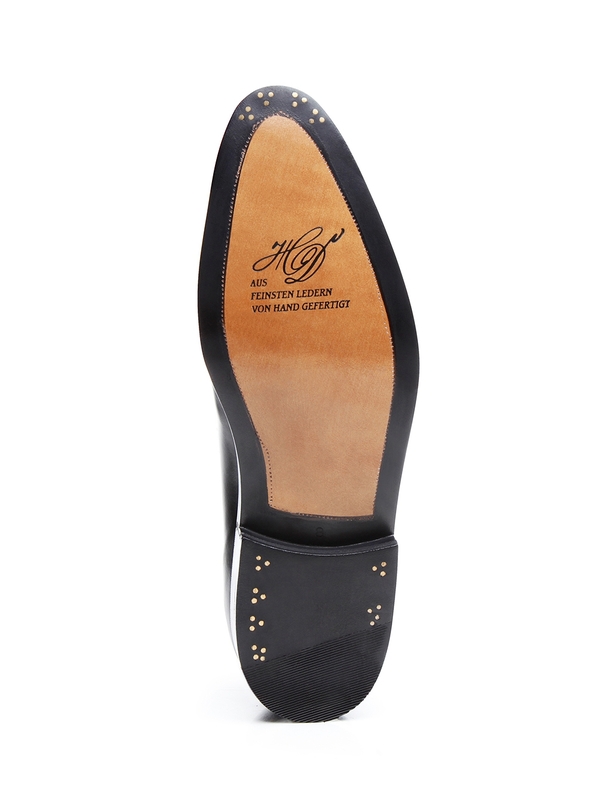 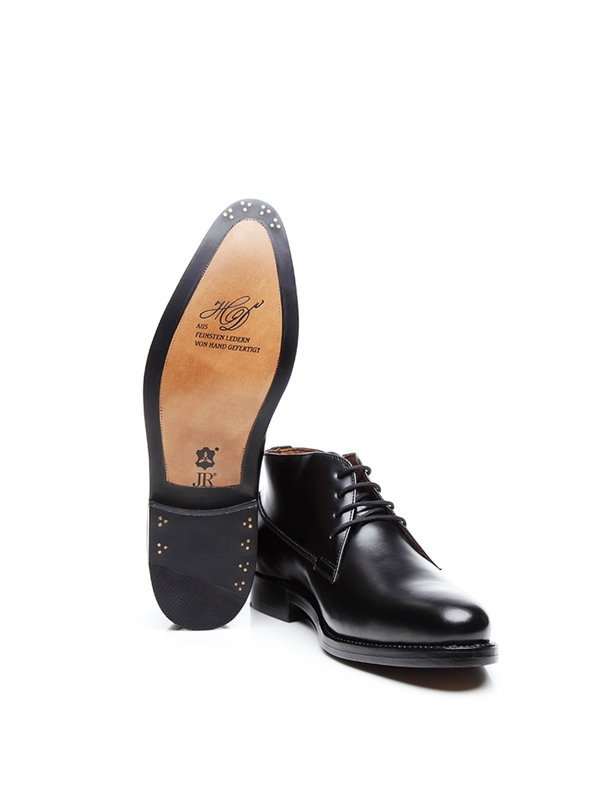 Both flexible and breathable, this full-leather shoe is further distinguished by open four-eyelet lacing, a striking double seam along the quarters, and a durable double sole made of leather. 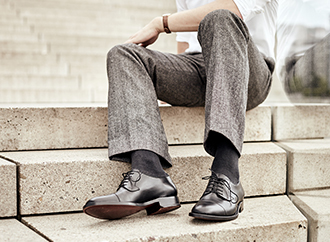 This model was built around a last that tapers slightly towards the toe, ensuring extraordinary comfort for wearers with average-width and narrow feet.